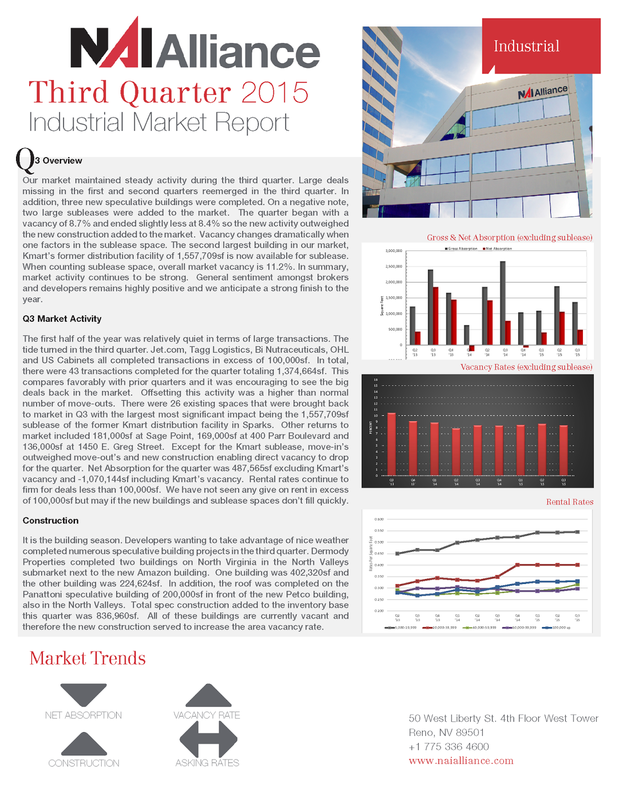 The NAI Alliance Industrial Properties Group has released its Q3 Industrial Market Report. Our market maintained steady activity during the third quarter. 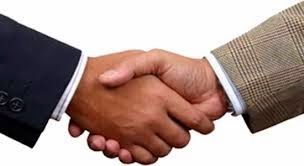 Large deals missing in the first and second quarters reemerged in the third quarter. In addition, three new speculative buildings were completed. On a negative note, two large subleases were added to the market. The quarter began with a vacancy of 8.7% and ended slightly less at 8.4% so the new activity outweighed the new construction added to the market. 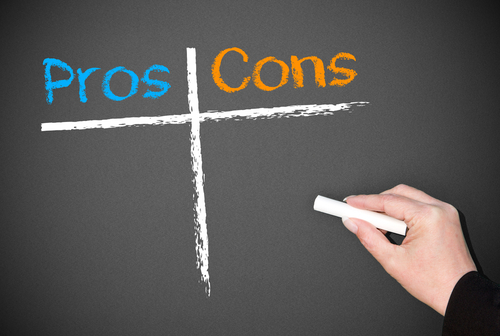 Vacancy changes dramatically when one factors in the sublease space. The second largest building in our market, Kmart’s former distribution facility of 1,557,709sf is now available for sublease. When counting sublease space, overall market vacancy is 11.2%. In summary, market activity continues to be strong. General sentiment amongst brokers and developers remains highly positive and we anticipate a strong finish to the year. 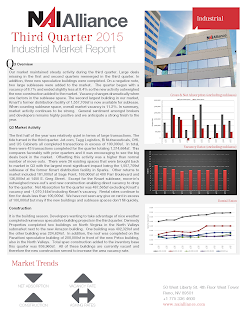 To continue reading, click her for the Q3 Industrial Market Report. Panattoni launches first phase of largest spec project in the region’s history! 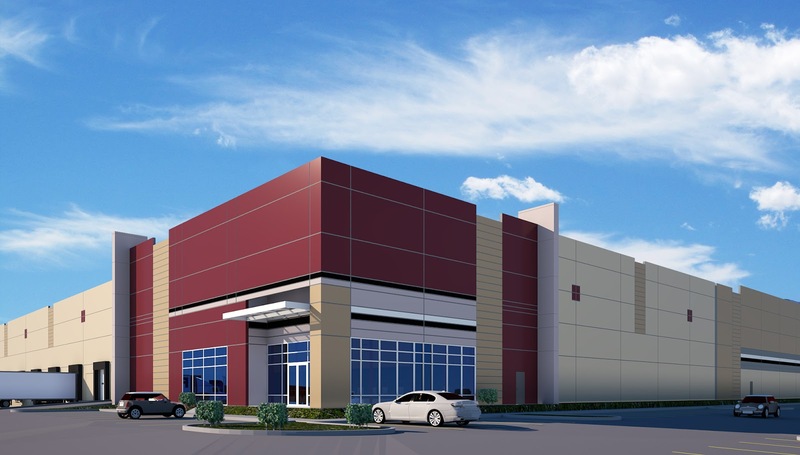 Located in the North Valleys submarket near the intersection of Lemmon Valley Dr. & HWY 395, the North Valley Commerce Center will offer 3 buildings totaling over 1.4MM square feet. The project, which is expected to break ground in late June on phase-one includes a 707,660sf building, the largest spec project ever built in the region. This speaks volumes regarding the confidence Panattoni has in Northern Nevada’s continued economic growth. Reno/Sparks is headed for explosive growth, according to Mike Kazmierski, CEO and president of the Economic Development Authority of Western Nevada (EDAWN). 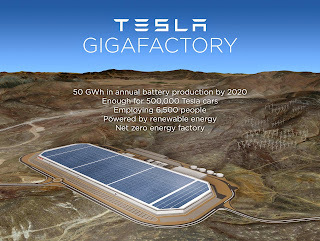 “Even if Tesla went away, we’d still see more growth than we’ve ever seen”, he said. Our location and business cost advantages continue to attract large e-commerce, manufacturing and distribution companies like Amazon, Zulilly, Apple, Petco, Switch and Tesla – as well as many other companies large and small. Market rents have steadily increased and inventory is getting tighter. The scope of this project signifies that our economy is on the upswing and the momentum is expected to continue.